I am semi-addicted to apple juice (semi due to self-denial). It does not matter what kind it is. I enjoy the 100yen 1L packs as well as the 500yen 1L bottles, just in different ways. Today I want to introduce what I think is the best apple juice for the buck. This Nomu Kajitsu (drinkable fruit) series is my go to. 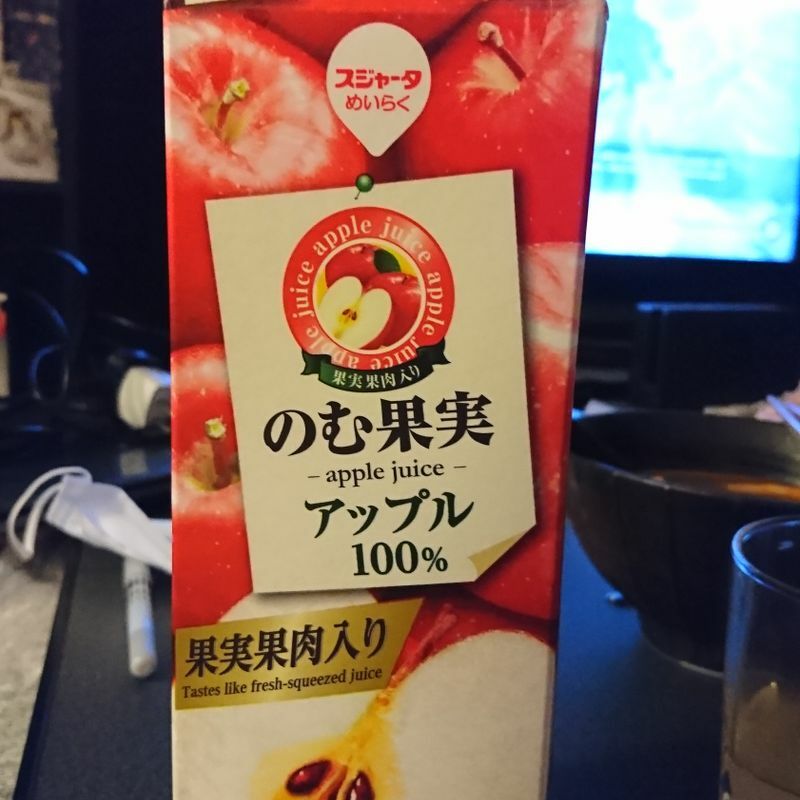 Unlike the cheap 100yen packs, this does taste more like juice made from real apples and you can see the difference in colours too. Price-wise, it is only 160yen, which is very reasonable compared to the premium stuff that is often double of this price. This is not breaking my wallet, but definitely worth its price.